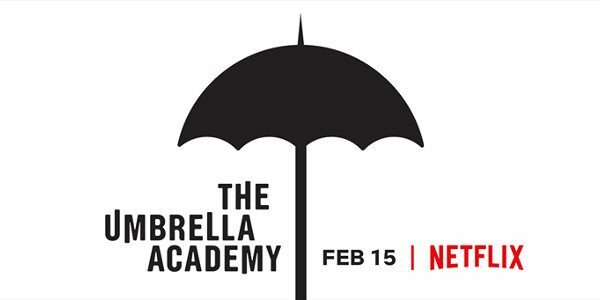 Meet thesuper dysfunctional members of The Umbrella Academy, launchingglobally on Netflix February 15, 2019. On the same day in 1989, forty-three infants are inexplicably born to random, unconnected women whoshowed no signs of pregnancy the day before. Seven are adopted by a billionairewho creates The Umbrella Academy and prepares his “children” to savethe world. Now, the six surviving members reunite upon the news of theirfather’s passing and must work together to solve a mystery surrounding hisdeath. But the estranged family begins to come apart due to their divergentpersonalities and abilities, not to mention the imminent threat of a globalapocalypse. The Umbrella Academy is based on the comic book series created andwritten by Gerard Way, illustrated by Gabriel Bá, and published by Dark Horse Comics. The show is produced by Universal Cable Productions for Netflix, withSteve Blackman serving as executive producer and showrunner, and additional EPsJeff F. King, Mike Richardson, Keith Goldberg, Gerard Way, and Gabriel Bá.